I think it’s rather therapeutic swirling frosting on a cupcake. It follows a rhythm as you squeeze that piping bag, twist your wrist and go in circles to make their perfect swirl. Sometimes my swirl look like a piece of poop sometimes they swirl up nice and upright without any droopy tips. I get pretty affected by the “soft poop like” swirls so occasionally I will sprinkle a teeny bit of colorful sprinkles on top to cover up. That said, I made a batch of red velvet and chocolate cupcakes for my nephew’s 1st month birthday party. The theme was Noah’s Ark with a big rainbow as centerpiece. 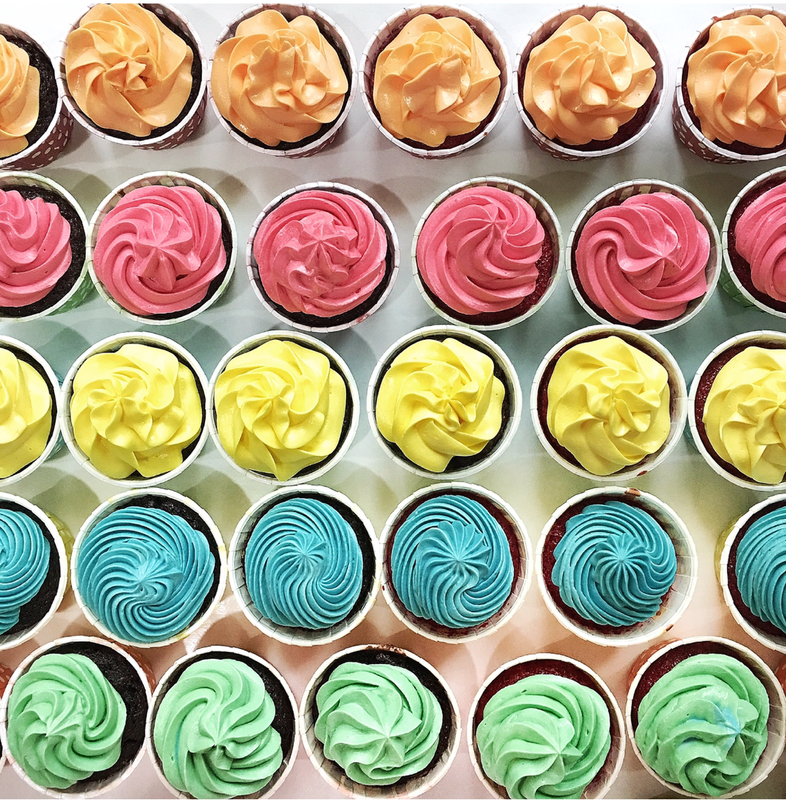 To match the rainbow, I baked the cupcakes in colorful polka dot cupcake liners and swirled them with a total of 5 colored frosting- Orange, yellow, blue, green and redish pink. Go funky with the colors since it’s a party! edible food gel ( orange, leaf green, navy blue, yellow and red)- I use Wilton food gel. 1)Mix all ingredients together until smooth frosting is achieved.